Hayleigh Bosher is a Senior Lecturer Intellectual Property Law at Coventry University. She is also a Visiting Lecturer in IP at the University of the Arts London (UAL) and a Research Fellow at the Centre for Intellectual Property, Policy and Management (CIPPM). She will be running a session on Mindfulness and IP at the Icepops conference. She is also collaborating with Alex Moseley to lead the games hackathon we have planned in the afternoon. 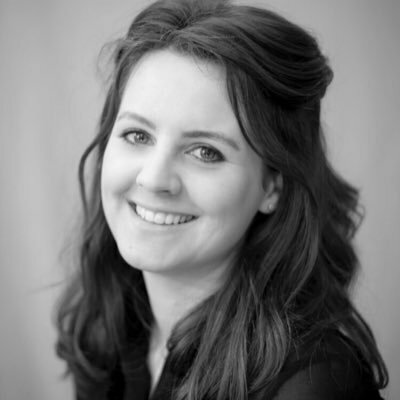 We caught up with Hayleigh who told us a bit about why she got involved in the conference, her background in copyright education and some of the things she has planned for delegates…. As a copyright academic, I have long recognised the importance of education within the sector. My work so far relating to copyright education has varied in focus from copyright education for the public, creators, industry, and students at every level from college to PhD, as well as fellow IP law teachers. This began when working with the copyrightuser.org team, including co-writing educational resources for A Level Media Students, and others for particular types of creators, and the public in general. Following from this I co-authored a paper on the issue of copyright education for a non-law audience: Swings and roundabouts, the impact of legal drafting on the language and understanding of copyright law and the need for educational materials. Since then I have created another educational resource creativeIP.org which is particularly aimed at creative students, as part of my visiting lectureship at the University of the Arts London. In addition, I am a member of the European IP Teachers Network, and a Director of the Intellectual Property Awareness Network. Alongside this, I have been quietly gathering evidence and taking courses etc. on the impact of mindfulness and mediation on both education and the creative process. Merging two of my great passions, it will be an honour to take the participants through a mindfulness exercise on the day, to refresh their learning minds and ignite a connection to their creative flow before we dive into a fun and innovating Copyright Games Hackathon together with Alex. I was very excited when discussing the idea for a creative copyright educational event with Chris and Jane and I am very much looking forward to the day. If Hayleigh has inspired you, there is still time to book for Icepops, but hurry bookings are closing at 5pm on Tuesday 13th March. Is there a typo? It says ‘copyright and mediation’. Should this be ‘copyright and meditation’? I think you are right Peter! I will amend it.